N.O. - Xplode Advance Strength. We all need a workout partner. To get motivated, to push us with that last repetition, to make us go that extra mile. Give N.O. Xplode a try as your workout partner! N.O. Xplode is a very good pre-workout supplement. It really gets your muscles pumping. Not only that, you will also get more energy and endurance. The N.O. 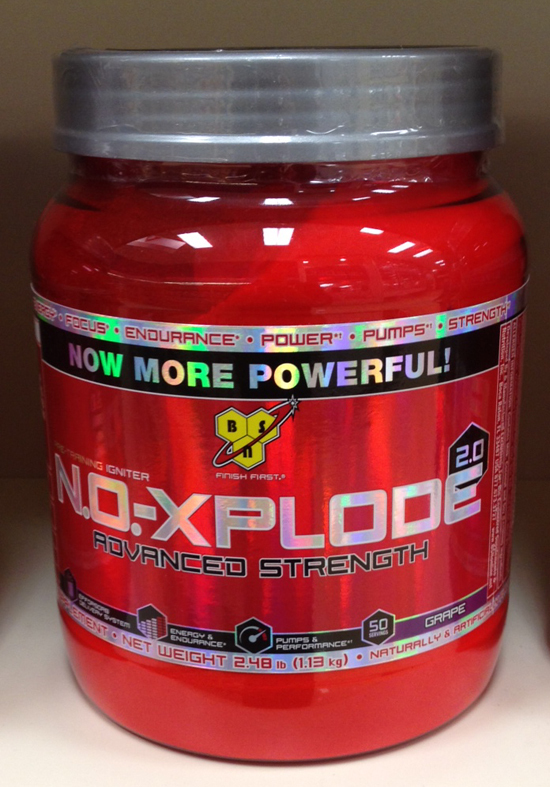 Xplode 2.48 lbs bottle will give you about 50 servings. That is almost a 2 month supply! The down side is that N.O. Explode Advanced Strength is pricey, at $71.99 the bottle. The positive side effects of N.O. Xplode are crazy muscle pumps, high energy levels, focus and more endurance. The negative side effects are jitters, higher heart beats, occasionally stronger heart beats and sometimes an upset stomach. As for the flavor, N.O. Xplode taste just as the frozen Minute Maid orange concentrate. You will love it, if you like oranges. N.O. 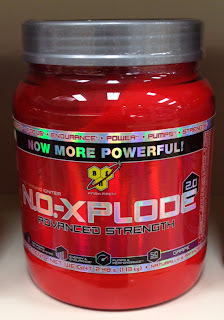 Xplode Advanced Strength is a really powerful pre-workout supplement. I would recommend N.O. Xplode to my friends, but I will also warn them about the negative side effects. This bodybuilding product is really strong. Teriyaki Beef Jerky - Workout Supplement. Thinking outside the box: Eat Teriyaki Beef Jerky protein to build muscle! Who doesn't like Beef Jerky? Not only is delicious but it can also be added to your fitness life style as a protein snack. I like buying the 10 oz pack from Walmart Great Value, it costs $9.98 and according to the bag it is 97% fat free. Also each serving (1 oz / 10 per bag) contains 14g of Protein. As far as the flavor goes, is great. Taste like the famous brand Jack Link's. The only down side is that you have to make sure to close it tightly after opening or the Beef Jerky will get so hard and almost impossible to chew. Oh and you will find gum like pieces that you don't get on the top brand Jack Link's. But it is still a really good protein aide to add to your post-workout meal or snack. Super Pump Max from Gaspari Nutrition. I am always in search for the best pre-workout, bodybuilding and post-workout supplements. 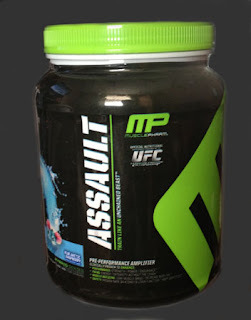 I thought I had found my favorite pre-workout supplement: MP Assault. But there is no other workout supplement compared to SuperPump Max from Gaspari Nutrition! SuperPump Max "The Ultimate Pre-workout Supplement Experience" as the bottle says, really delivers. You can start feeling its power 10 -15 minutes after drinking it. I prefer drinking about 75% first and the other 25% on sip throughout my workout. SuperPump Max will give you super crazy pumps, pump everyone will notice. Thanks to its Nitric OxiEndurance complex content. I also notice a boost of energy while taking SuperPump Max. I just like everything about SuperPump Max, its orange flavor taste great and the powder dissolves very quick, a few shakes and is ready to drink. 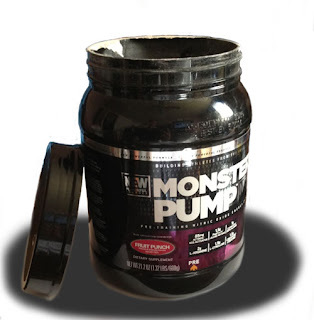 I don't just recommend you SuperPump Max as your pre-workout supplement, I urge you try it! You will not be disappointed. I do not remember seeing the brand Muscle Pharm (MP) on any bodybuilding supplement stores like GNC and The Vitamin Shoppe or maybe Muscle Pharm is just getting popular. After trying other pre-workout supplements like Monster Pump and PreSurge Unleashed. I was looking for something stronger that will really make me see that muscle pump and feel a boost of energy. I found it: MP Assault! 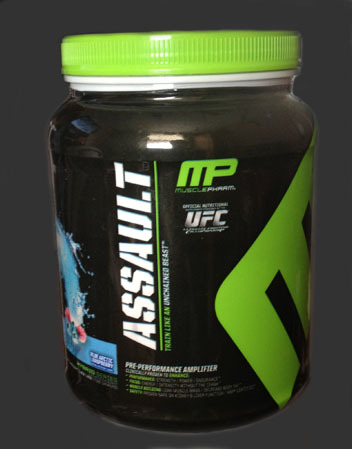 MP Assault Blue Arctic Raspberry is definitely a must try pre-workout supplement. MP Assault taste good and dissolves very easy, a few shakes and is ready to drink. The bottle say to drink 20-30 minutes before your workout, but you can start feeling the result in 10 minutes. 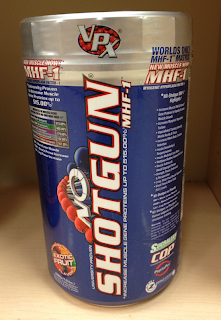 MP Assault: Blue Arctic Raspberry only side effect is jitters, but nothing too severe. Train with MP Assault and you will do that extra set at the gym and still have energy left for the rest of your day. I used Hexaghen IGF-1 Optimizer by MuscleMeds awhile ago. I bought it from the Vitamin Shoppe, but you can also find it at GNC. I was not sure if MuscleMeds: Hexaghen IGF-1 was a good choice because it contains hormones, but after doing some research I decided to give it a try. 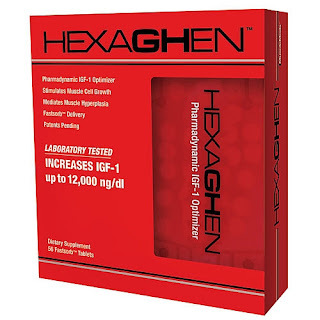 MuscleMeds: Hexaghen IGF-1 is pricy at $71.99 at GNC and $57.99 at The Vitamin Shoppe. This product is supposed to help you build muscle faster, recovery faster and give you a good night sleep. I did notice some results after the first week of taking Hexaghen IGF-1, like more strength, more muscle volume and I actually slept through the night and woke up rested. The only side effect I noticed was pimples on my body (specially my back) when I skipped workout days. I was so happy with the results. I bought a second box for another 6 cycle, a month after taking the first box But this second time I didn't notice any result :(. Maybe because I didn't workout as hard as I should have. I would recommend Hexaghen IGF-1 Optimizer to anyone that is seeking to build new muscle cells, just make use you workout hard to make the most out it. Hexaghen Fastsorb tablets are designed to be dissolved slowly in the mouth for sub-buccal absorption. Take 2 tablets 30 minutes before bedtime. Place the tablets under your tongue and let dissolve completely, then swallow. Do Not Exceed Two (2) Tablets Per Day. Labels: bodybuilding, Build muscle, IGF-1. Protica Inc. 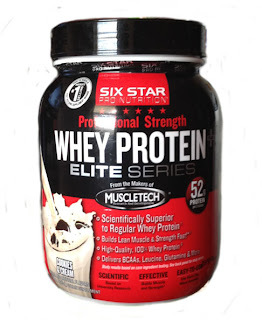 Recalls on Protein Shots,Protein Wave gelatin, Protein To Go Vanilla and Chocolate Flavors. If you are not familiar with Protica Inc. Then you don't have to worry about the products recall. But it is interesting to know Protica Inc. received a letter from the FDA. This is the response to the FDA letter. As a matter of precaution Protica Inc. recalled on the following products and manufactured dates. This products could be contaminated with a bacteria: Clostridium botulinum - a bacterium which can cause life-threatening illness or death. Botulism, a potentially fatal form of food poisoning, can cause the following symptoms: general weakness, dizziness, double-vision and trouble with speaking or swallowing. Difficulty in breathing, weakness of other muscles, abdominal distension and constipation may also be common symptoms. If you consumed any of this products, get immediate medical help! There are no cases of anyone getting sick yet. Thanks god. Post-Workout: Cyto Gainer vanilla creme review. Another great post-workout bodybuilding supplement protein shake! 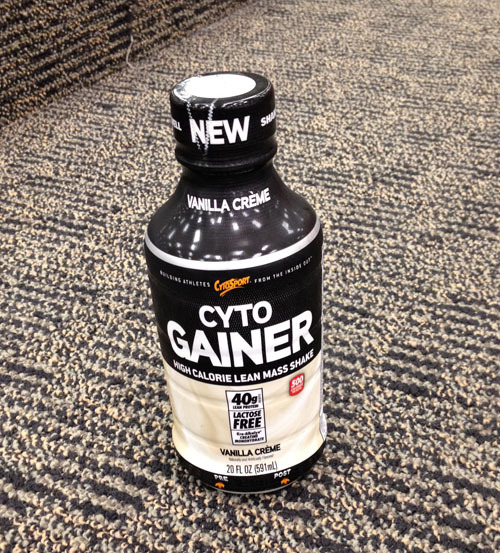 Cyto Gainer protein shake by CytoSport is a great way to end your workout. 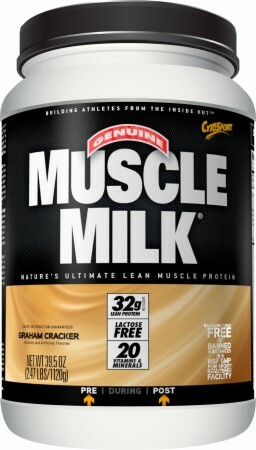 It contains 40g of protein to help feed and rebuild muscles. It is also a high calorie shake, this is important because muscles not only need protein but also calories among other things to keep on growing. It is essential to feed the muscles in the first 20-30 minutes after you finished your workout. Cyto Gainer does a great job at this. It is also lactose free, so you don't have to worried about any side effects. I personally like Cyto Gainer bottle shake better than the powder one, it taste more creme. Just make you shake Cyto Gainer good before consuming. As I mention on my: Diets and Nutrition page, food is as important as our workouts. I consider bodybuilding supplements as food, because it feeds the body and helps it rebuild muscle just as food do. It is important to choose the right supplements (like Protein powder) to help speed up the muscle recovery and muscle building process. 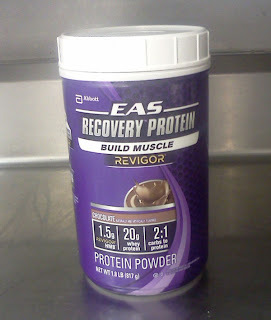 In my personal experience I think EAS Recovery Protein (Revigor) is a very good and improved protein powder and way better than the popular Muscle Milk. 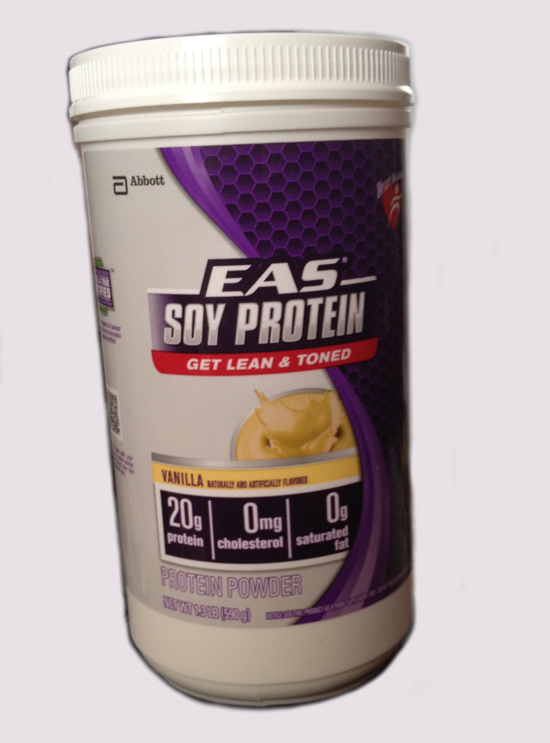 Take EAS Recovery Protein: Revigor right after you are done with your workout and you will get a boost of sustained energy, avoiding muscle catabolism. I actually see an improvement on muscle mass, just in a week of using it! EAS Recovery Protein: Revigor is easy on your stomach and you will not experience the classic "bloated belly" some protein powders give you, like muscle milk. If you buy the 1.8 LB you will get 11 Serving Per Container: $2 dollars per serving...not bad. I am done with my first bottle of EAS Recovery Protein: Revigor and will definite get a second one. Post Workout Supplement: Lean Body Protein Shake. LEAN BODY RTD protein shake is one of my favorite post workout supplements. Whenever I forget my bottle protein powder I get a LEAN BODY RTD shake from fridge at my gym for $5 dollars. Kind of expensive for a single Protein Shake but is worth the price. The Flavor is good, It taste natural. I specially like the Banana LEAN BODY RTD flavor. But they are available in Vanilla, Chocolate and Cookies and Cream. You can get them cheaper at ProSource.net . I have order from them before and the shipping is fast and the products are cheaper than other sites. Also LEAN BODY RTD is easy on your stomach because is lactose Free. Just make sure to drink it slowly in a period of 20 minutes, so your body can adsorb all the nutrients. 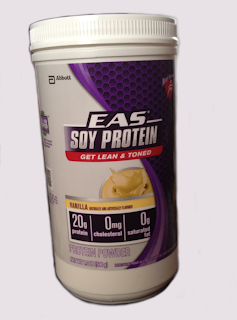 LEAN BODY RTD is a great post workout supplement, with 40 grams of protein and a great flavor. You should definitely give it a try next time you are done with your workout. 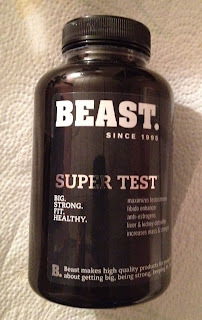 Beast Super Test: Anabolic Supplement Review. Beast Super Test is an Anabolic product. It is use to maximize testosterone and nitric oxide levels. Testosterone is important in muscle building and also to maintain muscle mass and strength. While nitric oxide helps to increase blood flow, making your muscles look and feel bigger. I love Beast Super Test! I have notice changes in my muscle mass. I also have more energy and recover faster from my workouts. This is a true Bodybuilding supplement. I have not notice any side effects, except from my stool coming out in a greenish color. I like try new and different workout supplements. Specially the pre-workout products. My latest PreSurge Unleashed! by Athletic Edge Nutrition. 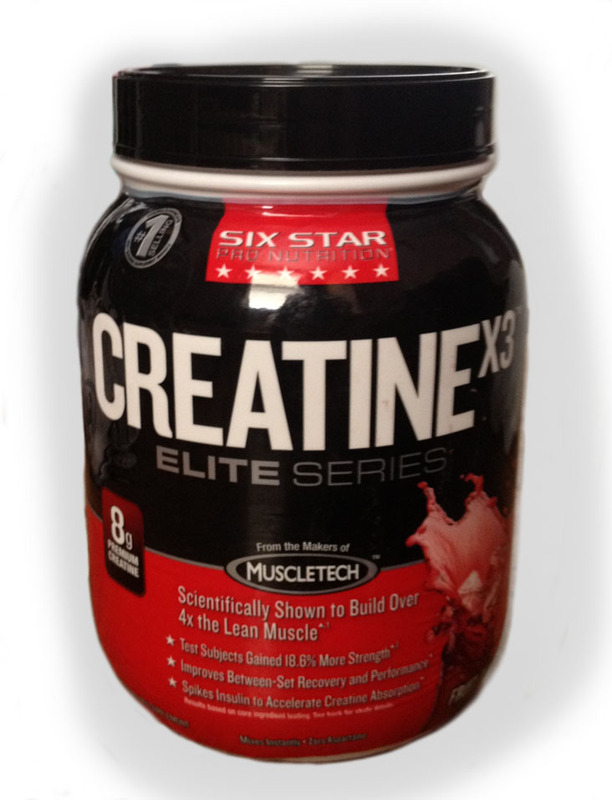 It says it contains Creatine, Nitric Oxide and an Insane Rush of Energy to Stimulate Prime Muscular Growth. It is cheaper than most Nitric Oxide products. But so are the results. I was a little disappointed with the results. 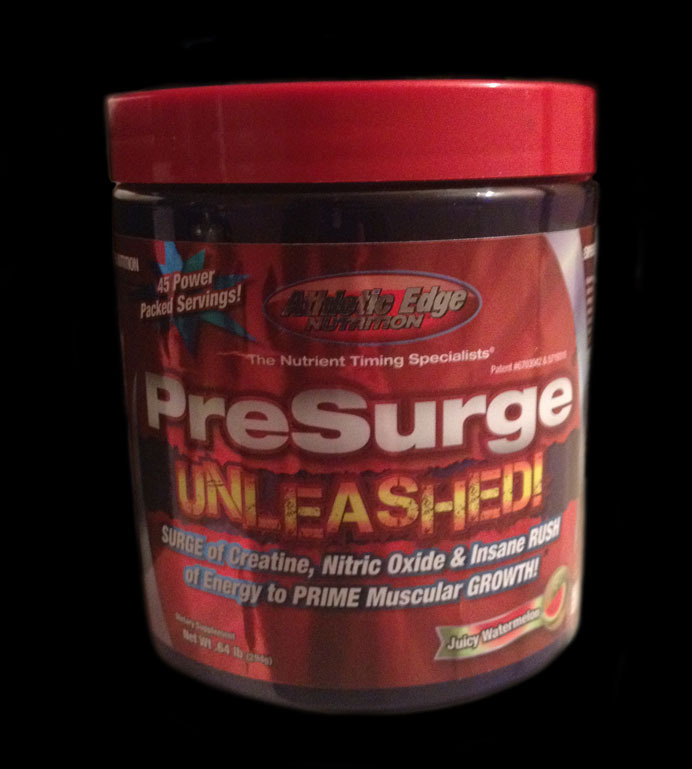 I have tried other Nitric Oxide products (for muscular pump) and PreSurge Unleashed is very weak, even with the max 2 serving. Also the energy didn't last that long, about 30 to 45 minutes. 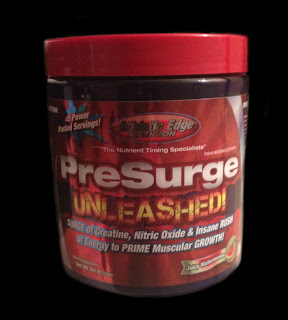 I wouldn't recommend PreSurge Unleased for an extreme workout session. Maybe for an easy day at the gym.